Ten years ago, you might have dreamt of the future being filled with flying cars or a government-less, robot-run utopia (or dystopia, depending on your worldview). One thing you might have hardly imagined would be talking to computer to help you flush your poop. Yet, this is the future we are getting with Kohler’s smart bathroom. 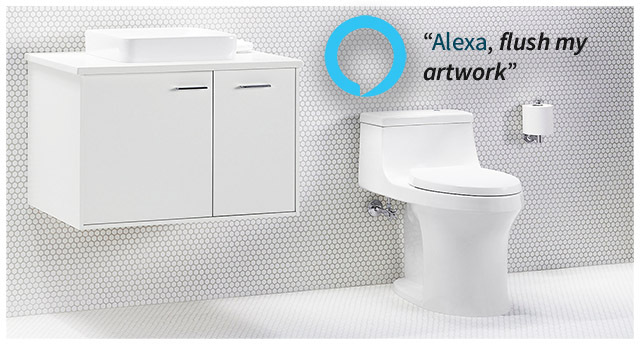 Kohler, a noted producer of extravagant bathroom fittings, has unveiled a connected platform called “Kohler Konnect” which consists of a series of products that can be controlled via motion and voice and some even have built-in support for voice assistants like Amazon’s Alexa. The platform will be introduced at CES 2018. The list of connected bathroom offerings by Kohler goes on from smart mirrors to intuitive showers and lights, to voice-activated toilet thrones. 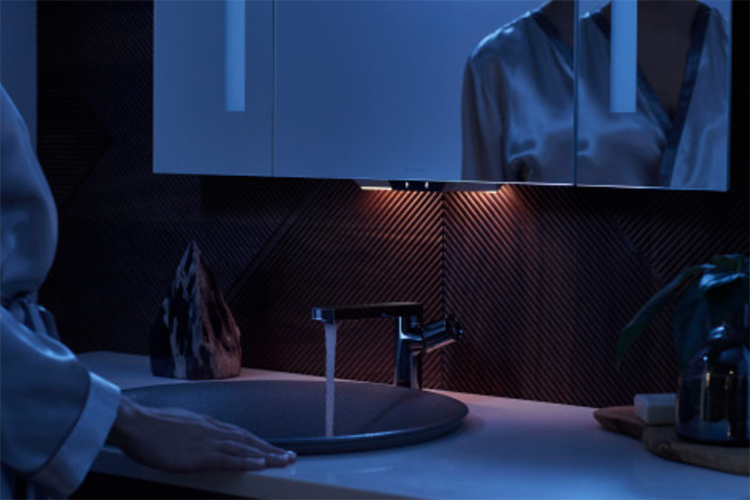 Imagine entering the bathroom on a chilly winter morning, and verbally instructing the water heater to turn the temperature up or the toilet seat to warm itself, and the smart lamp to adjust its illumination to suit your puffy eyelids. The entire range is modular i.e. you don’t have to purchase the entire set, but can make do with one or two to dip your toes in. The commands and actions are highly customizable, as well. The platform also allows automating tasks like the bathtub filling itself the moment you step in, or interacting with your mirror (essentially like speaking to yourself) – yup, that’s too creepy for us. You get dedicated apps on both Android and iOS that can help you monitor your usage of utilities. Kohler’s smart platform also has intelligent algorithms that inform you of any water and electric spillage or wastage. You can also hook up some of Kohler’s products with smart speakers and control hubs powered by Amazon Alexa, Google Assistant or Apple HomeKit with Siri. Although the concept might seem a little overwhelming to most and even eccentric to some, it is practically very convenient, in places where smart home automation has already made a name. Tag with it a smart lock for the bathroom and integrate the outside thermostat with your water heater’s temperature, and you’ll probably never have a groggy morning again.